Not to be confused with Punch-a-Bunch. 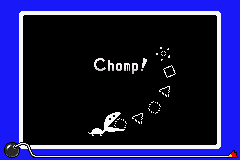 Munch a Bunch is a microgame found in the Nature folder in WarioWare, Inc.: Mega Microgame$! It later appears in WarioWare Gold as part of Dribble and Spitz's set. The objective of the game is to tap the button repeatedly to help Turtle eat the shapes. 1st level difficulty: Six shapes. 2nd level difficulty: Nine shapes. 3rd level difficulty: Twelve shapes. 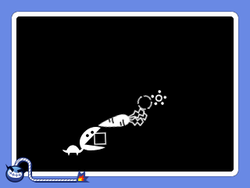 In WarioWare Gold, other objects may appear in place of shapes: piece of cake (two bites), carrot (three bites) and a train (eleven bites).